As good as your hair and makeup can look, clear, smooth skin is the foundation of looking great. We’ve seen our fair share of serums, creams and cleansers that promise a blemish-free complexion, and while we have a certain skin care regimen we swear by, sometimes going natural is the best thing you can do for your skin. 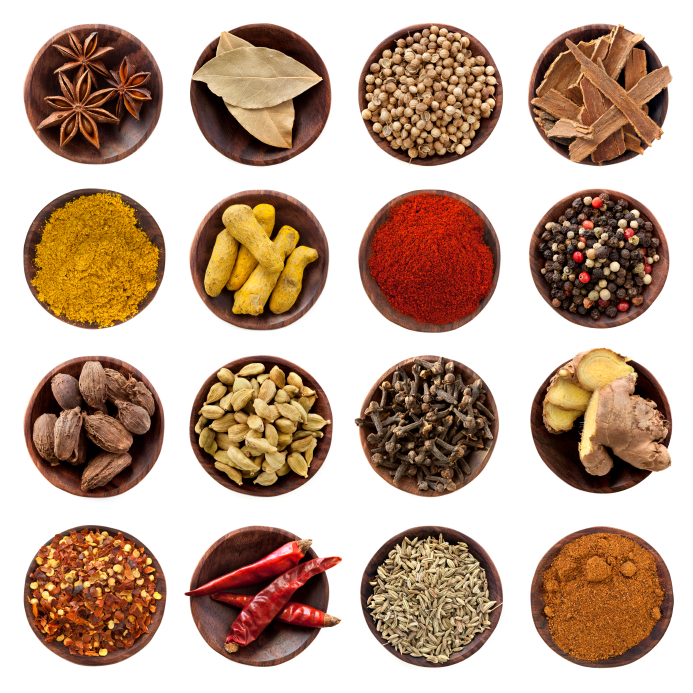 Spices and herbs can add some zip to your meals, and many even have digestive or antioxidant properties. But some actually serve another purpose — as natural beauty products. To get a better grasp on which spices and herbs are the best for your skin, below are seven seasonings that not only do your body good, they keep your complexion looking good as well. Black pepper: A natural detoxifier, using a product with black pepper can make your skin glow. But beware of putting it directly on your face in its pure form as high concentrations can cause irritation. Ginger: Rubbing fresh ginger on your skin may help even out skin tone and reduce blemishes. Fennel: This seed-like spice is known for reducing redness and irritation, making it a perfect remedy for those with sensitive skin. Cinnamon: Zied says that this sweet spice may have anti-microbial, anti-parasitic, antioxidant and free radical-scavenging properties. Some reports show that cinnamon can actually stop acne-causing bacteria in its tracks. Paprika: This spicy seasoning is packed with vitamins A and C, meaning it may help reduce free radicals attacking your skin. Sesame Seeds: They’re not just good on bagels! These tiny seeds may actually help lighten acne marks when made into a pasty mask and put on the face.